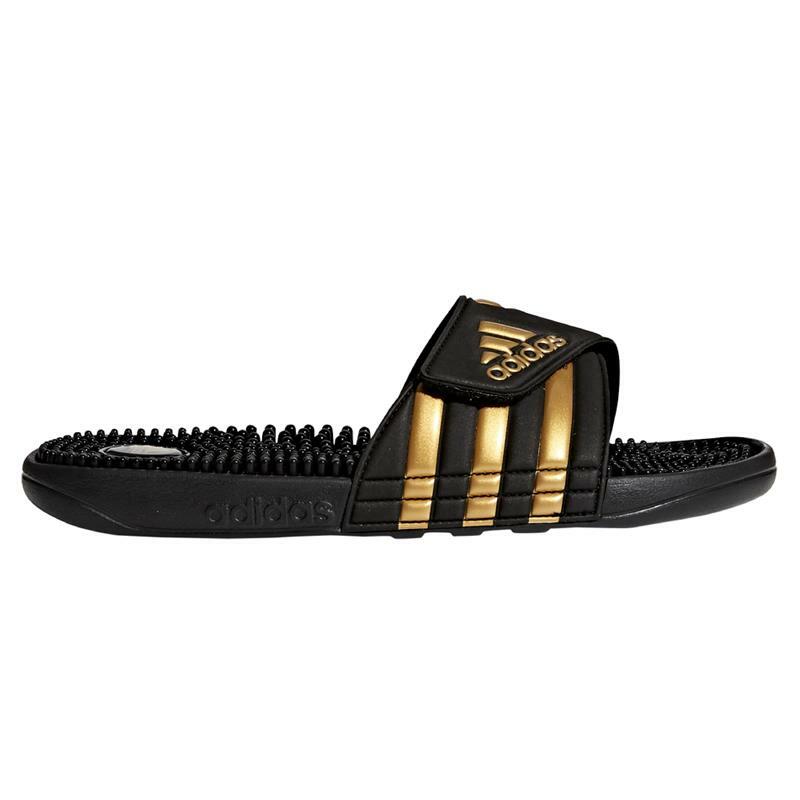 Like a spa for your feet, these men's adidas® Adissage slides have massage nubs on the footbed that soothe and relax tired muscles. The adjustable bandage upper dries quickly and features 3-Stripes and an adidas® Badge of Sport. An EVA outsole offers lightweight comfort.